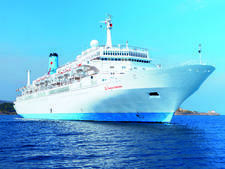 Marella Explorer 2 will join Marella Cruises in April 2019 and will be the first adults-only ship in the fleet. The 1,814-passenger ship has been sailing in China as SkySea Golden Era, but the ship began life in 1995 as Celebrity Century. 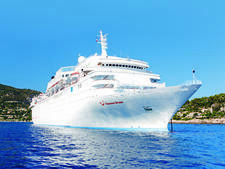 It is a sister ship to Marella Explorer, formerly Celebrity Galaxy, which launched in May 2018. Marella Explorer 2 will feature three brand-new venues for the line: A new clubhouse bar called The 19th Hole; an elegant Prosecco and Champagne bar called Flutes, and The Beach Cove that will take on a beach-barbecue theme. The ship will also feature a pizzeria-style dining option that first launched on Marella Explorer, however Explorer 2's will feature a dedicated pizza oven, which is new for the line. The 19th Hole will serve drinks including golf-themed cocktails and craft beer and feature quirky golf-buggy-style seating and two golf simulators. Flutes is being designed as a pre- and post-dinner drinks venue, with unique "Press for Bubbles" buttons at tables. The ship will have many of the same new-to-the fleet features which debuted on Marella Explorer including a Champneys Spa and a number of brand new shows. It will also have a number of dining and drinking venues including Asian fusion restaurant Kora-La, Shake Shack and Surf and Turf. The key difference will be the exclusive Veranda (the adults only area on Marella Explorer) which will be doubled in size on the new ship; and a new Royal Suite which measures 102 square metres featuring a separate bedroom, dressing room, dining area and whirlpool bath. The ship will have a total of 907 cabins, of which nearly 40 per cent have balconies. The entertainment offering will include two new theatre shows in the Broadway Show Lounge -- "Revive - The Forgotten Circus" and "Lovestruck" -- and eight shows carried over from Marella Explorer, such as Bud's Diner, a '60s tribute; classic rock (Rockology) and Cogs (classic '70s sounds) and movie themes. As an adults-only ship, the entertainment is aimed squarely at grown ups. There will be an open-air cinema on the pool deck for Movies by Moonlight screenings, plus bingo, quizzes and sports fixtures every afternoon in The Squid & Anchor pub. Marella Explorer 2 will be based at a new homeport of Naples with itineraries to include stops in Venice, Rome and Dubrovnik. 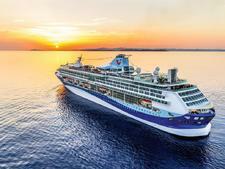 As Marella (formerly Thomson) second-newest and joint-largest ship, the 1,830-passenger set sail on its maiden voyage as TUI Discovery and was rebranded as Marella Discovery in October 2017. For a small ship, Marella Celebration has an excellent selection of dining options, including British home comforts like PG Tips tea, curry and roast dinners. 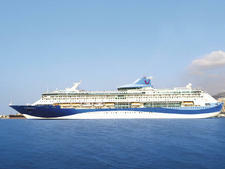 Marella Cruises' Marella Explorer launched in May 2018. The ship, which had been sailing as TUI Cruises' Mein Schiff 1, will be based in Palma, Mallorca, in the summer, and Bridgetown, Barbados in the winter. It is the largest in the fleet, carrying 1,924-passengers. Marella Dream features multiple restaurants, lively bars and lounges, and solid value-for-money family fun in a British setting. Marella Discovery 2 entered service in May 2017. 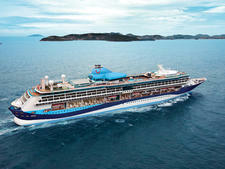 Sister ship to Marella Discovery, Marella Discovery 2 joined Marella Cruises' Discovery-class as an all-inclusive ship.